For much of its history, the north-east corner of Poland has been border country between different empires and nations. The vast forests and marshes were difficult to cross, making them perfect boundaries, and as borders between often warring neighbours, they were too dangerous to settle or farm. So, a vast tract of forest and marsh has survived into modern times, a unique glimpse not just of Primeval Poland, but of primeval Europe. On the Belarus border in north-east Poland, the Bialowieza Forest is one of Europe’s largest tracts of original primeval forest. Entering the heart of Bialowieza really is stepping back in time. Yet incredibly, the Polish government is planning to expand logging in Bialowieza. Along with the ancient forests of Bialowieza, we also find one of Europe’s last un-dammed rivers – the Biebrza (Beaver) River. And bordering it for several hundred kilometres are the Biebrza Marshes, the largest wetlands in Europe. 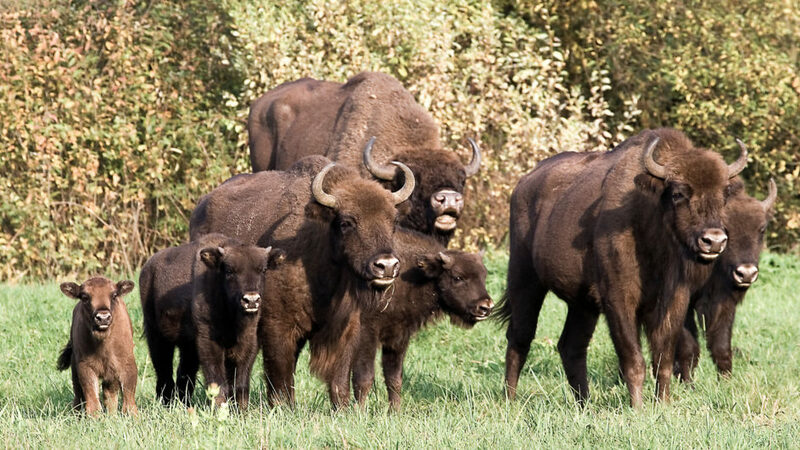 Along with Bialowieza, this corner of Poland is one of the most important wildlife sites in the whole of Europe. We join Polish naturalist and conservation-activist Marek Borkowski as he introduces us to the wonders of the wild north-east of Poland and we follow his fight to save Europe’s last primeval forest. Marek lives in the centre of the marshes and knows both marsh and forest intimately. He has an uncanny ability to find the nests of rare birds or spot bison in the gloom of the forest. Through his eyes we’ll experience the wild beauty of north-east Poland and see the potential threats in context. The whole area is a UNESCO World Heritage site, but in Poland only part of the forest is protected in nature reserves. Yet the forest extends into Belarus as the Belovezhskaya Forest, where the whole forest is protected, putting Poland to shame. Logging the non-protected areas in Poland was supposed to control outbreaks of spruce bark beetle and to stop old trees falling on tourists and forest workers! Conservationists, including Marek, challenge both reasons, which are a thin excuse to extract profits from one of Europe’s last remaining wilderness areas. Logging began in the spring of 2016 and Marek will take us to see the damage, and update us on the fight to save Bialowieza. The film will be a stunning portrait of this little-known area – and a wake-up call across Europe to stop the destruction of this unique habitat.